Log cabins are a great addition to any garden and can be used for relaxing with the family or managing your home business. With so many log cabins available today, it’s important to know exactly what you are looking for. 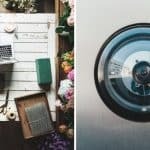 You will need to way up cost before purchasing your log cabin and there are several factors which will determine how much the price. The size, quality and also the steepness of the land you will be building the cabin can all impact how much the log cabin is going to cost. If you are looking for a premium building which is constructed from high-quality logs, the price can increase considerably. However, there are also cost-effective log cabins which will provide your garden with a great space to relax in during summer. 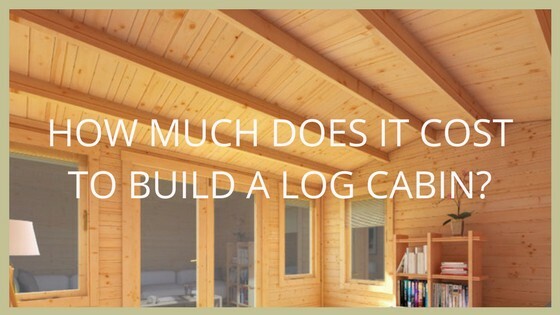 If you are after a premium quality log cabin, you may want to opt for a building with a large log thickness. The Village Hall is one of our large, premium buildings which has a spacious interior and stunning design. The log thicknesses are available in up to 70 mm which is perfect for using all year round as a home office or relaxing retreat. 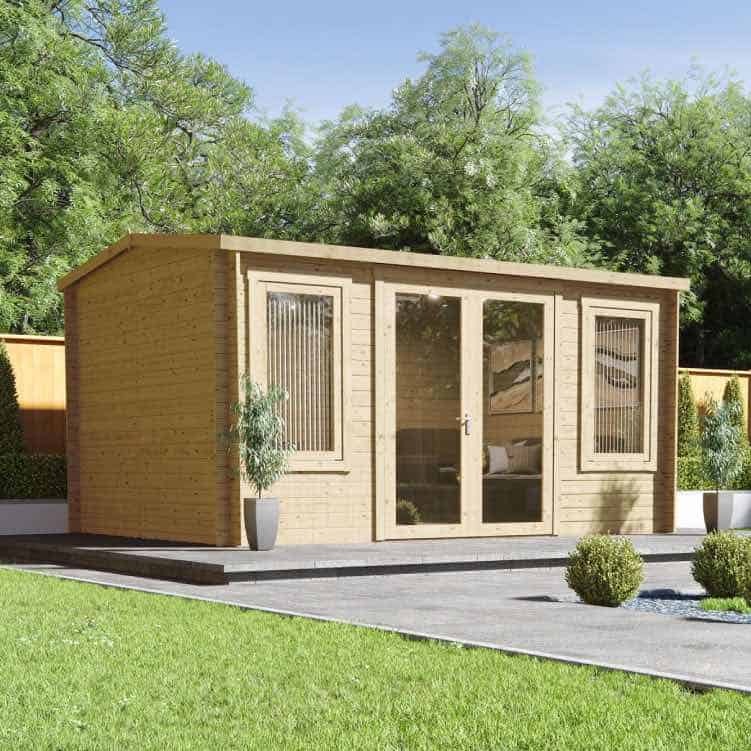 This luxury building is the perfect premium cabin for a spacious garden. The Seattle Home Office is a mid-range log cabin which makes a great home office for any garden. Available in 28 cm to 44 cm log thickness, it can also be used all year round. The reverse apex roof, long windows and ‘L’ shaped design suits any modern or traditional garden setting. 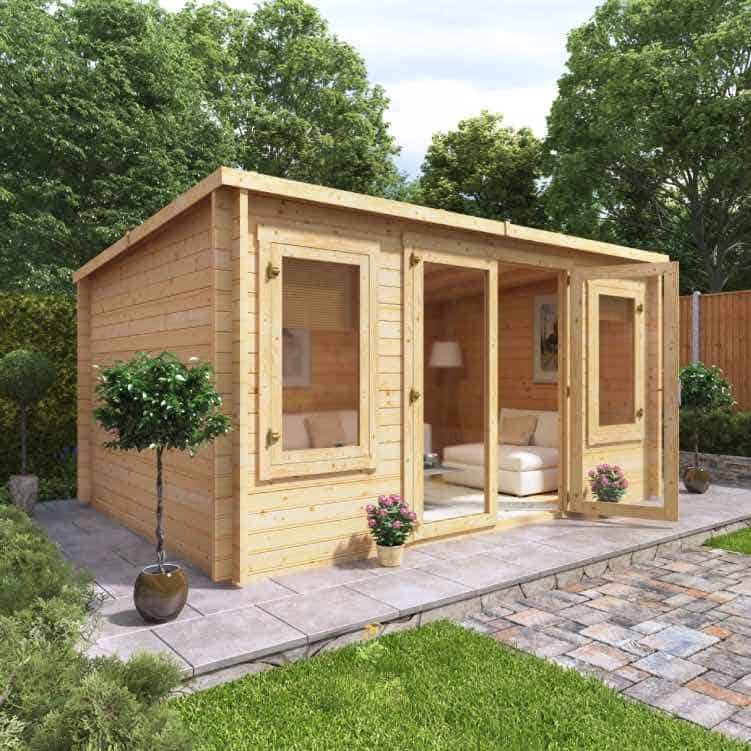 This log cabin is also available in a range of sizes so you can find a building which is perfect for your garden. 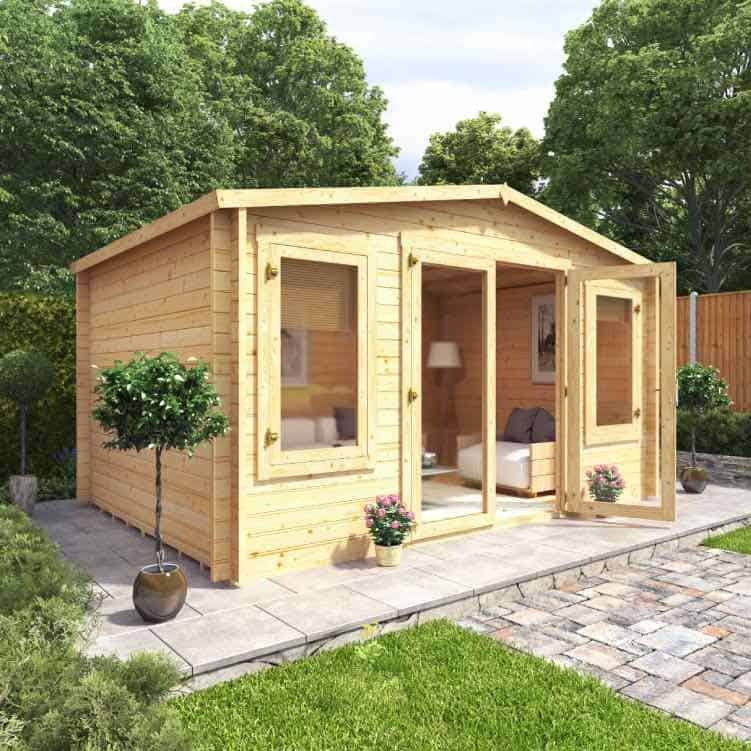 Our 8×10 Miller Summerhouse is fantastic value for money log cabin. During summer, relaxing with friends and family outdoors isn’t complete without a summer house. The benefit of having a summer house which is a log cabin is that it provides a solid and sturdy build for your garden. It comes in a 19 mm thickness, with Georgian windows and doors and looks great in a traditional garden. It comes in a 19 mm thickness, with Georgian windows and doors and looks great in a traditional garden. Log cabin bases can be constructed using paving slabs, concrete or a patio. 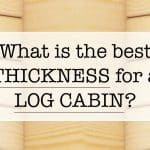 There are factors to consider before you build the log cabin base. Find out which base you should choose for your log cabin here. Generally, it takes at least two people to build a log cabin and shouldn’t be attempted alone. Laying the log cabin base should be fairly straightforward for anyone with fairly good DIY skills. By insulating your log cabin, you can spend more time in your garden during the warm months of the year but also winter months as well. We recommend treating a log cabin once it has been erected. This provides your building with sufficient weather protection and will ensure it is a long-lasting build. 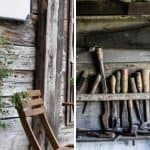 Find out how you should properly maintain your log cabin with our simple steps. Looking to find out some more log cabin information? 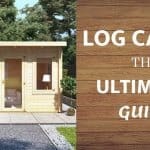 Why not check out the ultimate guide to log cabins. Furthermore, why not hear from our customers directly through our Dorset stories and Devon stories.